Take control and climb the leaderboard like a boss. 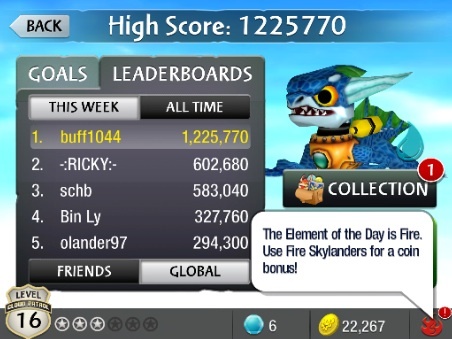 At the moment, I currently have one of the highest scores in Activision's iPhone and iPad release, Skylanders Cloud Patrol, which means it's only a matter of time before the highly competitive iOS community knocks me off my perch. Until that happens, I will pretend to know what I'm doing by listing some helpful tips and tricks on how to boost your score. You won't get anywhere by simply tapping trolls. 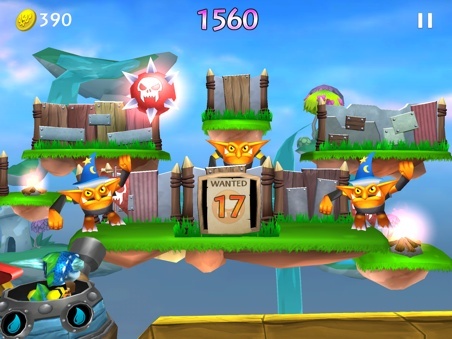 If you want more coins, press and hold, then drag your finger across the screen to "paint" enemies and various objects within the environment; max this out by targeting six. Doing this results in a giant gold coin appearing, which you can then "pop" to add more loot to your virtual bank account. 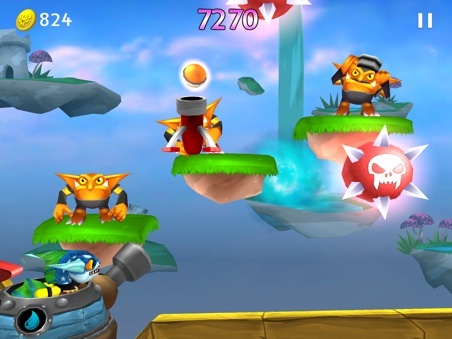 There are more than 30 Skylanders in this game, and each monster belongs to one of eight element types, be it fire, water, earth and so on and so forth. Every day, the developers highlight one of these elements, and you'll score a coin bonus for playing with a character that falls into that category. In other words, fight fire with fire. Not every troll stands around waiting to get shot. The wizards, for instance, fire blue projectiles that swirl through the air. Meanwhile, tapping these trolls makes them disappear and then reappear someplace else, momentarily stunned. That's when you should go in for the kill. There are quite a few magic items in Cloud Patrol, but you should only focus on two, the first being Ghost Swords that take down trolls with a single tap. 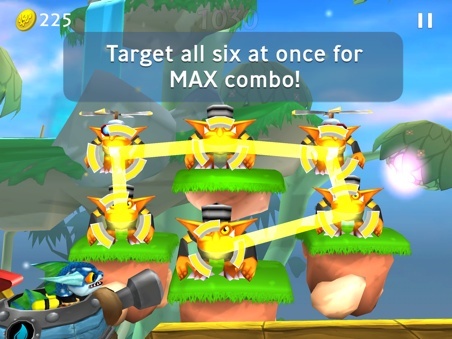 Although you cannot "paint" targets using this weapon, the tradeoff comes in the form of big time points that quickly send your score rocketing up the leaderboard. The downside? You can only use it for a limited time, and when the energy runs out, you must wait for it to reappear. When that happens, grab it as quickly as possible. On a side note, use Ghosts Swords conservatively. Don't drag your finger all over the screen, as it will deplete the weapon's energy too quickly. Instead, use calculated taps to extend its life. 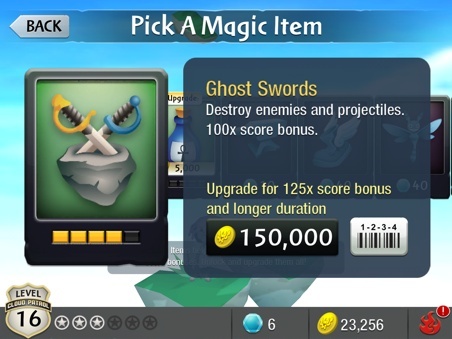 Finally, save your gold coins to max out Ghost Swords to obtain a whopping 125X score bonus. Even the best players accidentally hit a bomb and lose, which really blows during a tense round of Cloud Patrol. 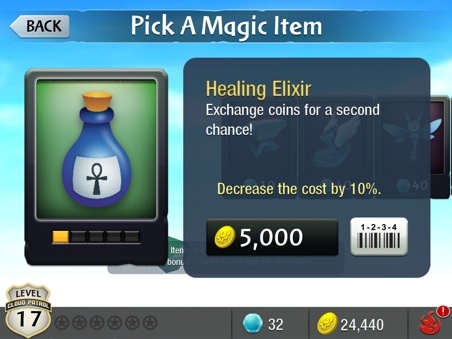 But as long as you activate the Healing Elixir, you'll receive a chance to continue, in exchange for some coinage. 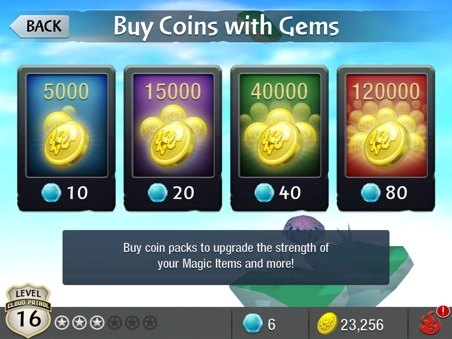 The quickest way to max out those two items is to cough up some of your precious blue gems for gold coins. Then, spend those suckers to make the Healing Elixir and Ghost Swords even more effective. Wizards aren't the only trolls with ranged weapons. You also need to look out for enemies with mortars and cannons. If you see an orange sphere floating through the air, hit that sucker ASAP to blow it up. 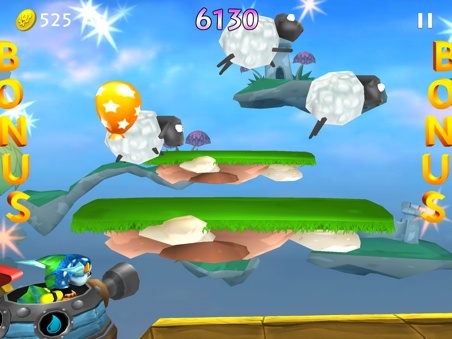 We don't care if you see bouncing barrels or flying sheep. Blasting them all results in lots of coins and, more importantly, a 10,000-point bonus. Who doesn't need that?